China Cosco Shipping Corporation is looking to set up a low sulphur bunkering centre at Zhejiang Pilot Free Trade Zone in Zhoushan to serve the growing demand due to the upcoming 2020 IMO regulations. According to Cosco, it has started negotiations with Zhejiang Pilot Free Trade Zone on jointly developing a low sulphur fuel production and supply base in Zhoushan. Cosco believes Zhoushan has the ideal infrastructure and policy environment for the development of the centre. The two parities have reached preliminary consensus on establishing a dedicated research team together, aiming to establish a joint venture in the future. 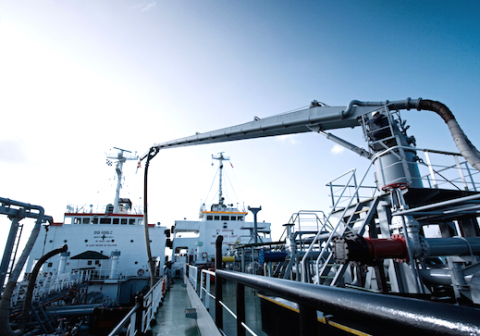 In a recent informal poll of shipowners and operators conducted by ABS, 53% said their fleets were not yet ready to meet the 2020 sulphur cap requirement.